Every woman should go to one of Baz Moffat’s Holistic Core Restore® Every Woman classes! Whether you are under or over 30, 50 or beyond, with or without children, there will be something for you. This is not your typical squeeze and hold pelvic floor class. Early on in my pregnancy I developed SPD and had severe pain in my pelvis making it very difficult to move around. I also had an emergency c-section, which together left me feeling like my body was a bit broken. I tried various mummy and baby fitness classes as soon as I could after giving birth, but never felt comfortable, I was very unsure of my body and what might hurt me and was aware that I also had diastasis but unaware how to fix it. Adding in longstanding negativity towards my body and weight, never truly happy with how I looked, I wasn’t in a great place with my body, health & mind postpartum. I pushed myself to do something, and both my doula and women’s health physio recommended I see Baz and so I jumped right in, not knowing what to expect. I remember turning up for my first session expecting a full-on workout, and was so happily surprised that Baz spent time talking to me, finding out about me and my body, how I felt about myself and what I wanted to do, and gently introducing me to her method. 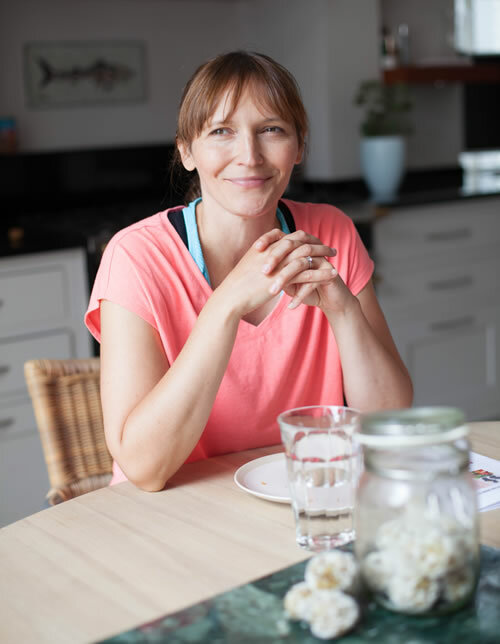 Over the first few sessions we took things very slowly, going right back to basics, and it dawned on me that I needed to help my body recover and rehabilitate after pregnancy and birth, I needed to make it strong from the core. Despite knowing that my pelvis and core were central to me bringing my beautiful daughter into the world, I hadn’t properly considered that I would need to help restore them (and more!) afterwards. Baz helped me to get moving again, safely and carefully, she knew how to push me just enough that I could see change, but not too much that it would be overwhelming for me whilst navigating the whole new world of being a new mum. She worked with me to create a programme that specifically dealt with what I needed to work on and was super easy to do at home. Week by week Baz helped me to push forward. She kept me going even when it felt so hard, until suddenly things started to slot into place. I first met Baz at her pelvic floor workshop in October last year. I learnt so much and was so inspired by Baz and her obvious passion and knowledge. I just wish I had met her sooner! The EveryWoman course was great – the attention to detail is fabulous and it’s a very supportive environment. 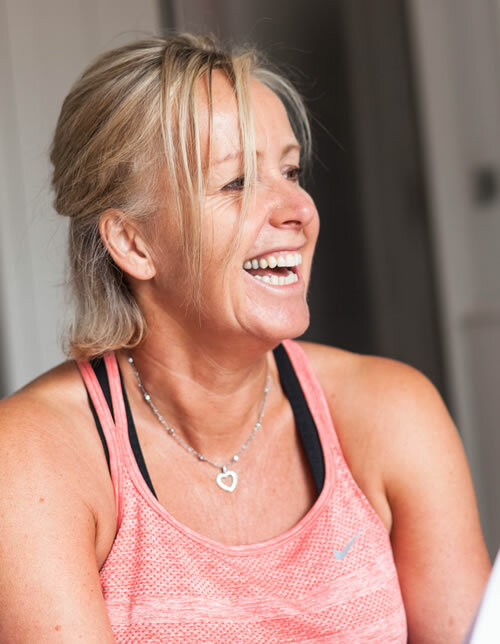 You will need to see a Women’s Health Physio before the course starts – don’t skip this though, it’s really valuable and means you can get the most out of the course. The exercise videos are online so it’s easy to follow them at home, and Baz is always at the end of the phone or email to answer questions.